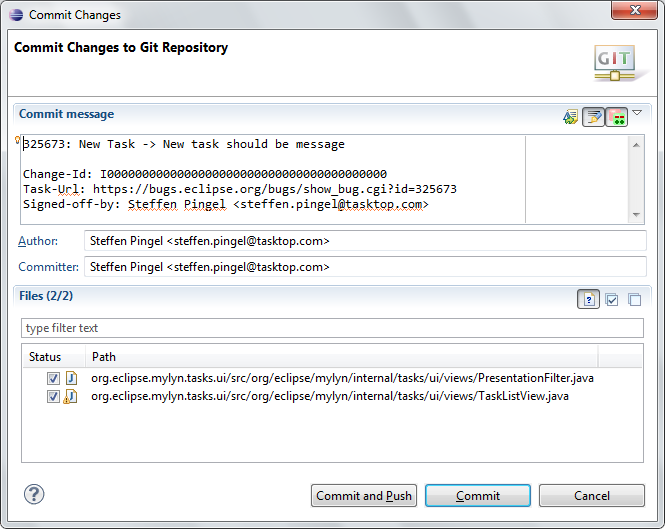 Example dialog for committing a change to Mylyn. current 14:25, 2 October 2014 665 × 529 (50 KB) Milesparker.gmail.com (Talk | contribs) Example dialog for committing a change to Mylyn. This page was last modified 14:25, 2 October 2014 by Miles Parker.